Fourteen Mandate members employed by Paddy Power Betfair Plc have been awarded between €750 and €1000 each by the Workplace Relations Commission (WRC) for the denial of rest breaks. 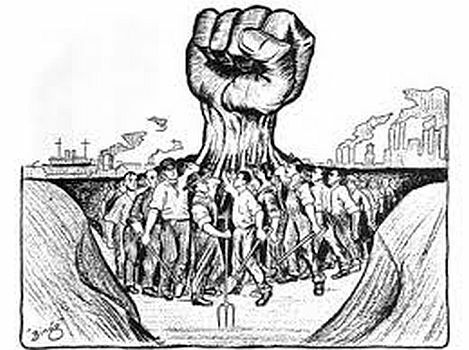 The workers, through their Union, successfully took the cases under the Organisation of Working Time Act, 1997. Mandate say the WRC adjudication officer found the company to be in breach of the Act and urged more Paddy Power workers to come forward to prosecute claims where merited. Mandate has written to the company seeking a meeting to discuss the implications of the WRC’s decision. John Douglas, Mandate General Secretary, said: “These decisions vindicate our members in their claims and I congratulate them on their successful cases. There are tens of thousands of workers in Ireland currently being denied their rights at work because their employer believes the law shouldn’t apply to them. We’re here to tell them that it does.” Mr Douglas warned Paddy Power workers of requests from management to “single-man” shops. Mandate intends to serve a comprehensive claim on Paddy Power Betfair regarding pay scales, step up duty pay and premium payments, among other issues in the coming days. A 15 minute break when you have worked for 4 ½ hours. If you work more than 6 hours you are entitled to 30 minute break, which can include the first 15-minute break. If you work more than 6 hours and the hours of work include the period 11.30am–2.30pm you are entitled to a one-hour consecutive break which must occur between 11.30am–2.30pm. Talks to avert strike action across Section 39 organisations have collapsed following negotiations in the Workplace Relations Commission. Trade unions Unite and Siptu have issued a joint statement condemning the practice of blacklisting in the construction sector and warning those who engage in what the unions term this “obnoxious behaviour” that they will face a united action against them. The practice is especially widespread in the construction sector, both in Ireland and internationally. Commenting, Unite Regional Officer for Construction Tom Fitzgerald said: “Blacklisting is especially prevalent in the context of disputes, such as the recent crane operators’ dispute between Unite and members of the CIF, and involves employers exchanging information to prevent known union activists being employed in the sector. 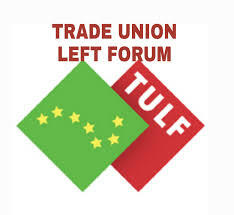 Trade union Unite, which is currently engaged in a dispute with the Irish Archaeological Consultancy over the company’s refusal to engage with the union on a pay claim, said today that the company had admitted to a history of paying poverty wages. The union was commenting on IAC’s claim that it had increased wages by 65% over the past four years – effectively stating that in 2014 it was paying archaeologists below the Minimum Wage. 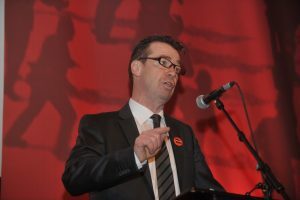 Commenting, Unite Regional Coordinating Officer Richie Browne said: “Since this dispute started, IAC has been issuing statements to the effect that they have increased wages by 65% over the past four years. Given that our members’ contracts stipulate an hourly wage of €12.50 – just slightly above the 2018 Living Wage rate – this means that the company is claiming to have paid archaeologists around €7.60 at the start of that period. This would have been below the National Minimum Wage of €8.65 applicable at the time, and would have meant that IAC was breaking the law and subject to a referral to the National Employment Rights Agency or its successor, the WRC. “In fact, our records show that members were paid the €9.50 per hour – which means that, according to IAC’s own statement, had they increased wages by 65%, they should now be paying approximately €15.67 per hour. Yet experienced archaeologists are only being paid €12.50 per hour to defend our heritage – and to help swell IAC’s healthy revenue. On the 25th July Lloyds parent company, McKesson Corporation, announced that they had achieved revenues in excess of $52 BILLION for the first quarter of the year. That’s $52,000,000,000.00 in 3 months. And yet their Irish workers have to put up with pay of €10.60 per hour after 12-15 years of service. Management say the company is not profitable, yet unsurprisingly, they refuse to open their accounts to the workers’ representatives. Maybe if the CEO wasn’t earning €14 million per year, they could afford to pay their staff a decent wage though? The company are in the media pretending to care about patients? These are the same management who took away their own workers’ sick pay scheme a few years ago. Forcing their workers to come to work with illnesses such as swine flu, bronchitis and pneumonia because they cannot afford to take the time off. 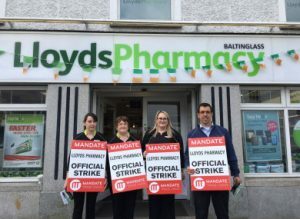 Not one patient who has been in vital need of medication during these strikes has been turned away.